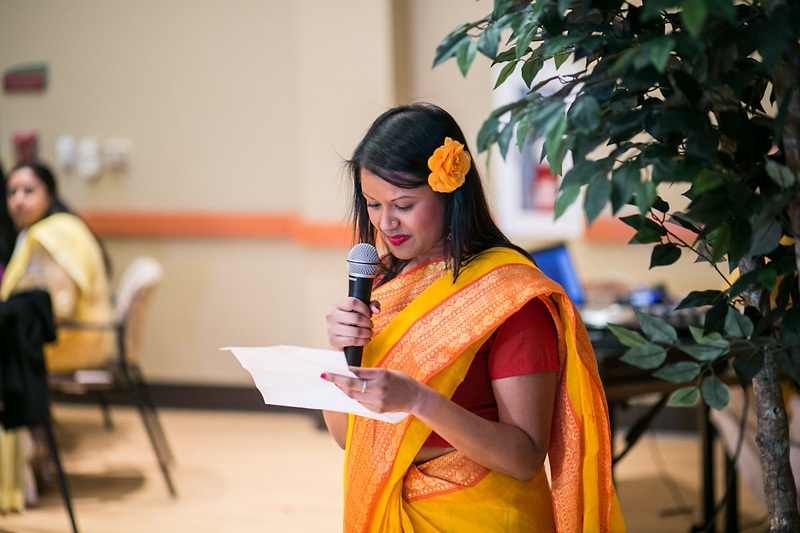 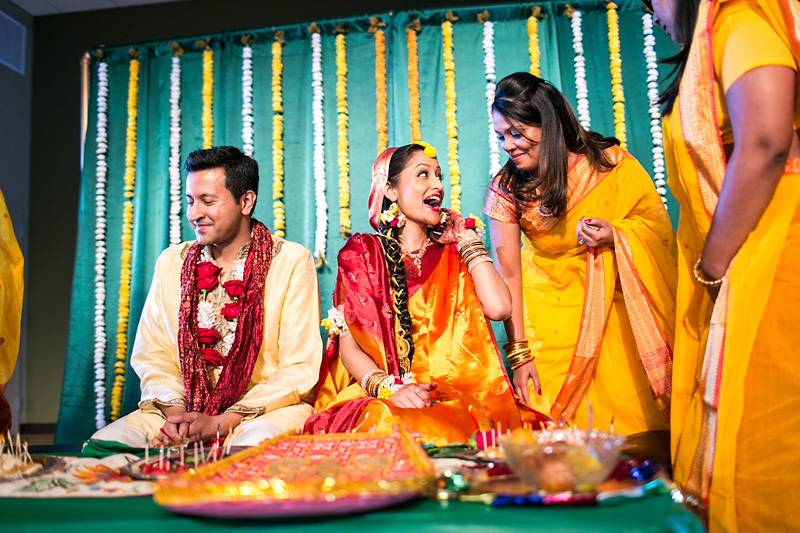 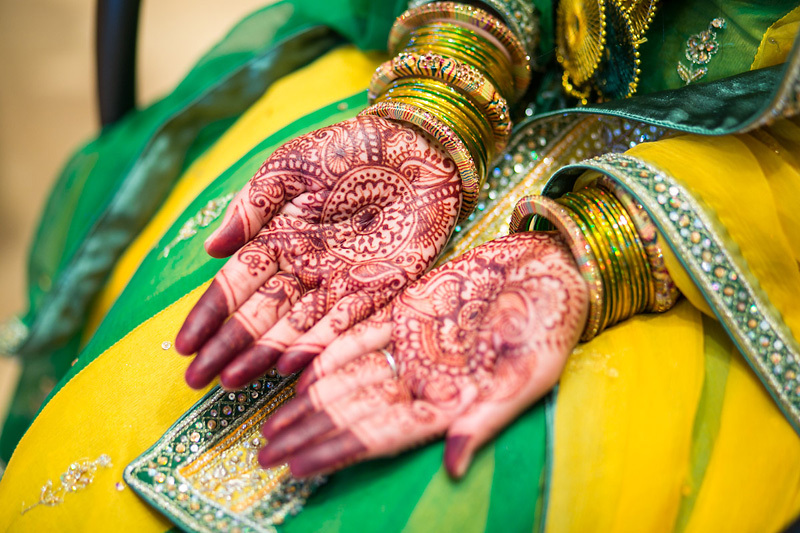 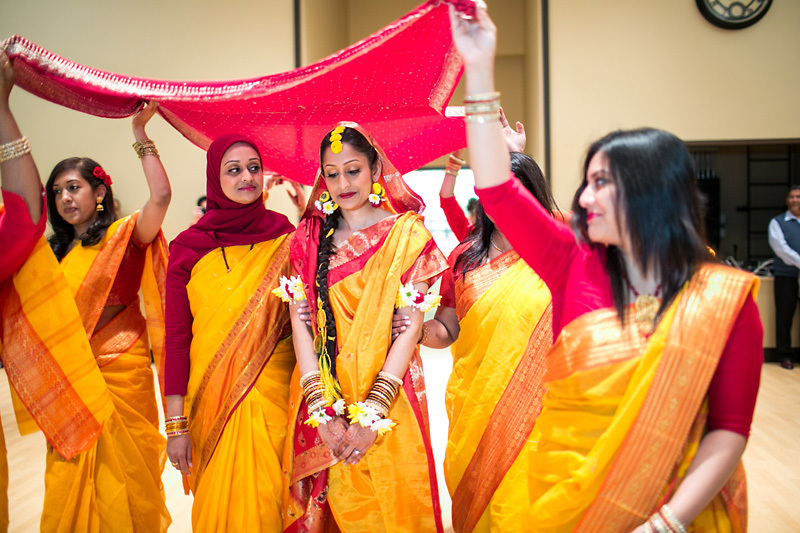 farida and fahad's holud - the customary bangladeshi pre-wedding event that refers to the turmeric paste traditionally applied to a bride's skin - was most memorable for its little details. 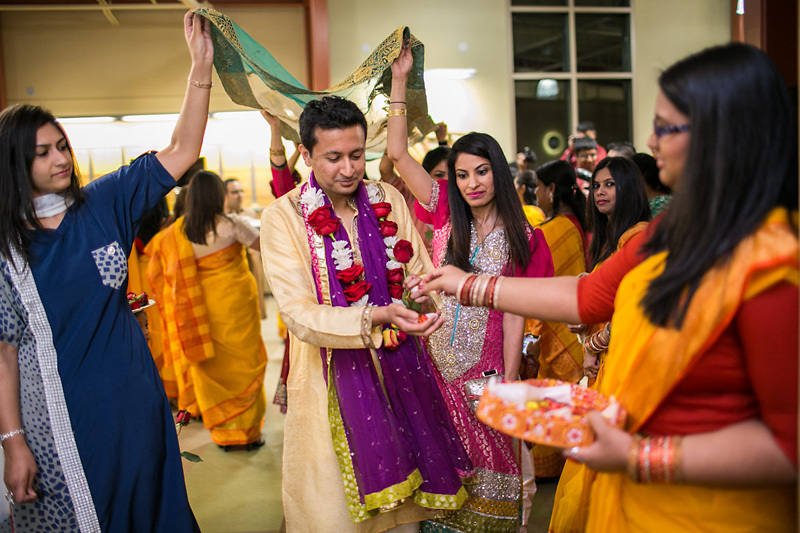 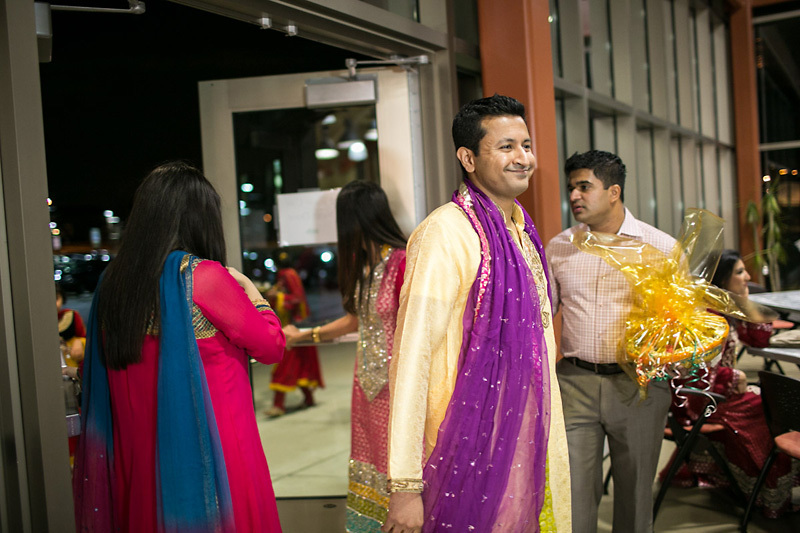 the single rose fahad offered his bride as she arrived on stage; the homemade sweets farida made with her mother, in the shapes of fish - a traditional bengali food item - as well as the "F's" of their names in three different language scripts; and the surprise dance the couple had choreographed to perform for their guests at the end of the night. 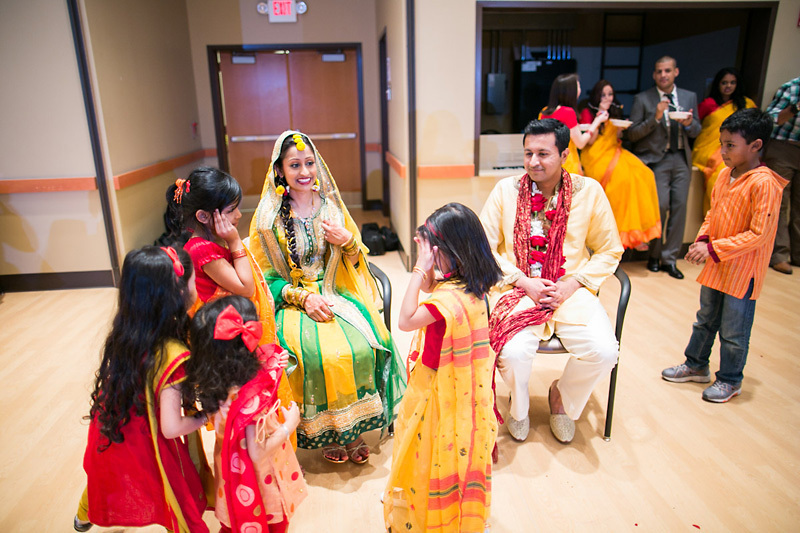 surrounded by love and light, this was the perfect evening to celebrate the beginning of farida and fahad's wedding journey.